The latest Fenty x Stance collab. Sock specialists Stance have made a habit of high-profile influencer collabs, from Willow Smith to James Harden, but none bigger than their extended partnership with Rihanna. 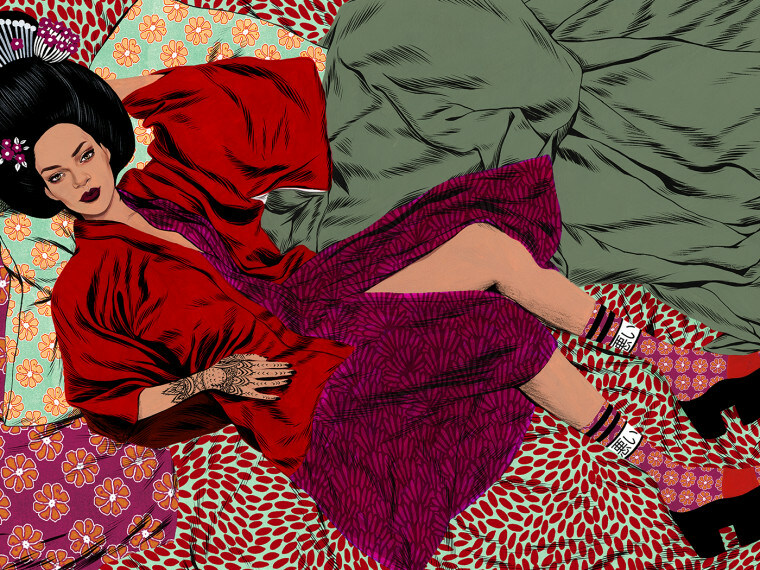 Today, the brand unveiled their latest collab with RiRi, a fall Fenty for Stance collection that "juxtapos[es] the beauty and elegance of Japanese culture with the modern street-wear and punk movements." The collab is the third of their partnership so far, with Rihanna serving as a "contributing creative director" for the brand starting last year. Take a look at the full line here.